Home / All offices / Articles / Meet the Manager – Stephen Nixon, Northwich. Meet the Manager – Stephen Nixon, Northwich. In a new series of articles, we shall be giving the opportunity to lean about our branch managers and other members of staff. We begin with Stephen Nixon from our Northwich Office. Stephen found estate agency quite by chance after leaving Sir John Deane’s College in 1979. Being from Northwich he recalls that it would have been almost customary to work for ICI who were major employers in the town over many years. However job uncertainty became prevalent in the late 1970s and the guarantee of any employment no longer existed. 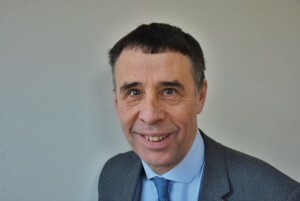 Therefore Stephen found work in November 1979 with a local estate agent in Northwich and soon found an enjoyment and enthusiasm for the property industry which in over 38 years later has never faded. Now an experienced manager, Stephen reflects on the many changes in the business through several decades and recognises through it all that consistent standards must be achieved based on customer service and professionalism. Stephen embraces today’s technology at our disposal which can be successfully combined with the foundation and importance of a traditional approach. When not in work Stephen will be found walking or cycling in the beautiful Mid- Cheshire countryside and is also a keen photographer. He is also a family man with three children.